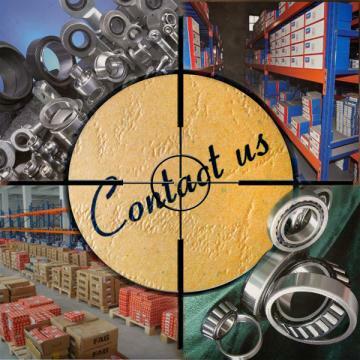 Sliding bearing is a common mechanical part in the field of industry. In work engineering, some small impurity particles are often mixed into the lubrication medium of the bearing, thus turning the simple fluid lubrication into liquid-solid two-phase fluid lubrication.This kind of liquid-solid two-phase flow lubrication has certain influence on bearing capacity of sliding bearing. Mechanical parts in the casting, machining process will be residual trace sand, chips, etc.Some impurities, such as abrasive dust, rust and welding slag, can also be produced during the assembly of the lubricating system. During the management and maintenance of the machine, impurities may also invade the system.Some machines work in harsh conditions, and rock dust and sand enter the lubrication system. Various solid particles caused by friction and wear, surface fatigue and scratches, and improper surface tolerance and coordination of sliding bearings during operation.The main kind of this kind of impurity is sliding bearing material particle. There are: euler-euler method and euler-lagrange method. Euler method focuses on the points in space. The basic idea is to examine the physical quantity and its changes at each point in space.The multiphase flow models in euler-euler method include VOF model, hybrid model and euler-euler model. The Lagrange method focuses on the particle of fluid. The basic idea is to track the whole process of movement of each particle of fluid in the flow process and record the physical quantities and changes of each particle at each moment and position.A basic assumption of the model is that the volume ratio of the discrete second phase should be very low, generally requiring the discrete phase to contain no more than 15%. The bearing capacity of sliding bearing increases with the increase of sliding block speed.As the concentration of impurities increases, the bearing capacity of the sliding bearing increases with the increase of the speed of the sliding block.When the speed is 50m/s, the bearing capacity of sliding bearing with impurity concentration of 10% is about twice that of non-impurity bearing capacity.It can be seen that the increase of impurity concentration in lubricating medium can obviously improve the bearing capacity of sliding bearing to some extent.